The Portland Thorns will look to repeat as National Women's Soccer League champions in 2018, having defeated the North Carolina Courage in the 2017 championship game. The Thorns also won the inaugural NWSL championship, having defeated the Western New York Flash in 2013, 2-0. Prior to the 2017 season the Flash were sold and relocated to become the Courage. The NWSL saw two teams dissolve, the Boston Breakers and FC Kansas City. The league has one expansion team, Utah Royals FC. Portland opens its 2018 season in a championship game rematch against the Courage, whom they defeated 1-0 to win their second NWSL championship. 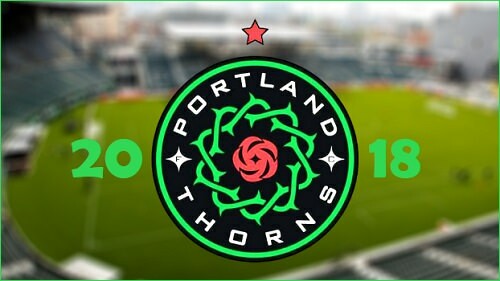 The opener, which serves as the NWSL season opener, is the first of two home games for the Thorns to begin the season. They don't have a home stand of more than two games, and have a single three-game road trip occurring in late July through early August. The 24-game schedule features three games against each team. The Thorns schedule features six games in May and five in August, and have just three games in the months of April and July. Notable returning Thorns players include midfielders Tobin Heath and Lindsey Horan; forwards Christine Sinclair, Hayley Raso and Mallory Weber; and defenders Meghan Klingenberg and Emily Menges. Perhaps the most notable returnee is stellar goalkeeper Adrianna Franch. The Thorns play their home games at Providence Park, located at 1844 SW Morrison in downtown Portland. Home games are noted in Bold Green. Most games are streamed live online via www.portlandthornsfc.com. Five games will be broadcast on the Lifetime Network. Those games are noted in the schedule below. All times on this schedule are pacific time and are subject to change. To share this post on social media, please go to the right side of the page (the top of the page on the mobile site) to the social media icons and choose which social media site(s) to share the thread. To comment on this thread and others on this forum, please login or register. #21 Hayley Raso of the Thorns. Nice drawing. Props to the Thorns for going 3-0 in July. Short month of games, but the team seems to have put things together. If they can continue their win streak, the playoffs are there for the taking. They're tied for third in the standings with 29 points with the Orlando Pride. Just one game behind the Seattle Reign who are in second place. The North Carolina Courage are well in first place with 46 points.